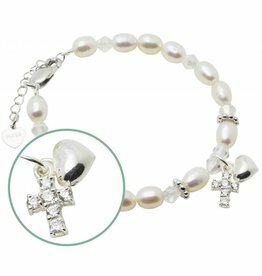 Bracelet through-and-through silver for her baptism or Communion. With a personal engraving not only gorgeous on the day itself, but even as a tangible reminder for later. 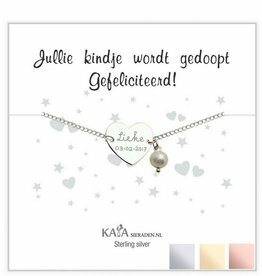 This giftbox with this through-and-through silver bracelet is a perfect gift for the baptism , especially since you can engrave the front and the back. Dear heart speaks for itself! 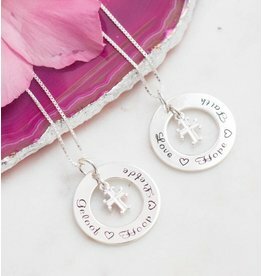 Gorgeous necklace to remind her communion forever! Made of .925 silver, with the ability to engrave her name or communion date. 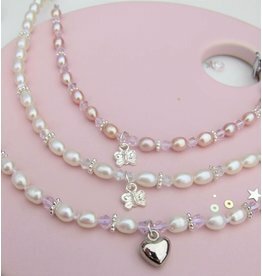 Beautiful necklace for her First Communion! Engraved on a sterling silver pendant of 22 millimeters. Including silver chain and a lovely cross in the middle. What will they shine with this beautiful necklace around her neck.